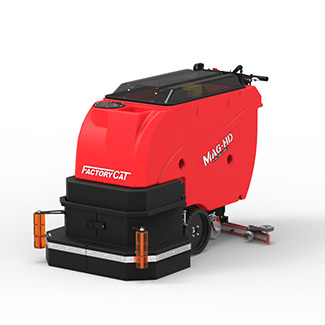 The MAG-HD Floor Scrubber Dryer is known for its renowned durability and innovative features, offering unmatched value for the customer. 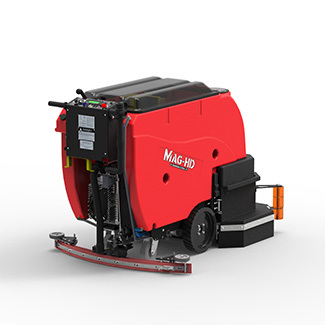 The MAG-HD Walk Behind Floor Scrubber is available in either a disk or cylindrical brush system. A high-capacity is standard allowing for up to 5 hours of continous scrubbing. The Central Command II systems on all of our Rider machines include: a LCD readout, on-board machine diagnostics, and 3 different hour meters. Also, if machine batteries become too discharged, the Mag-HD automatically shut down all systems except "transport", enabling the operator to still make it back to the charge station. Up tp 31,000 sq. ft./hr. 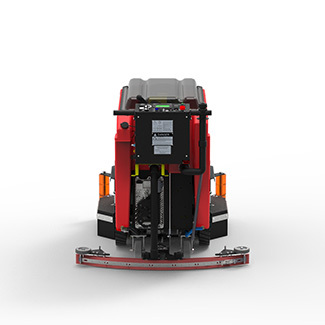 The Disk Magnum-HD offers a gimbaled brush drive and 45% more scrubbing power than competitive brands. 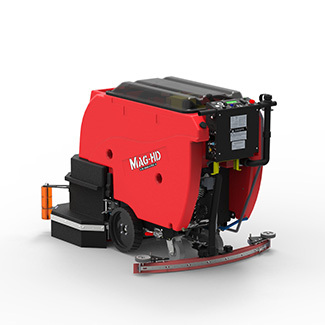 The Cylindrical Magnum-HD has the added benefit of sweeping up debris while scrubbing simultaneously. 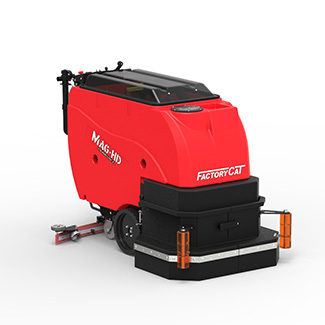 This eliminates the need to dust sweep any area and increases productivity.